My ride last night was just short enough and painful enough that I have erased it from my mind. But my bike was in the middle of the living room this morning and there were sweaty clothes nearby, so I know I must have biked. I do however, remember the quick T run I did afterwards during which it was as windy as all get-out and below thirty and I was wearing shorts. But no gloves and no hat, so that is seasonal progress. 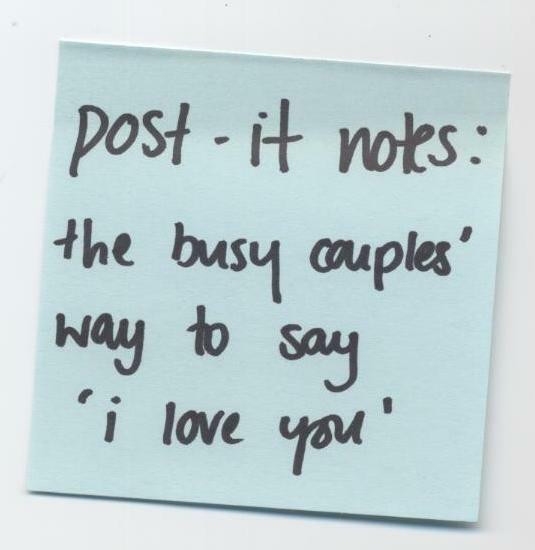 I don’t think GB and I have seen each other for more than 2 minutes since Sunday and we have been communicating through phone messages and post-it notes of “I love you and please remember x, y, or z”. It is not my favorite thing at all and I miss the days when we used to work the same schedule. Hopefully that will happen again in the not-too-distant future. Training is going well. I’m feeling focused and centered and my training has been consistent and high quality, so my pledge to be done with self-sabotage seems to be working. I have reached a new level mentally and it’s a very serene and peaceful feeling. 150 people. No dancing. Sit down meal. Buffet. 40 x 60 tent or 40 x 80?? I got a blister from running today. Blisters are caused by moisture which is caused by sweating which is a direct result of heat production. Which is a very, very good thing after such a terribly long winter. What I’m trying to say, is that it was…I can hardly type this I’m so excited…it was ABOVE FIFTY DEGREES TODAY!!! That’s right, I went running in shorts and a long sleeved t-shirt and I was WARM! – overdressed, even. I came home from work and I opened the doors and left them open for the whole evening! Jack sat on the front steps and just stared at the world as it melted all around him. I think he’s secretly sad that the snow is melting because he loves to roll in it so much. Finn however, is thrilled at the new neighborhood snack bar, since all the animals that didn’t make it through the winter are now becoming unearthed. The world is a smorgasbord of tasty wilderness treats. Life couldn’t be better. It was a rainy and foggy run today, and I loved every minute of it. My legs considered protesting but shut up when they realized I wasn’t listening. I am so ready to fold up my running tights and put them in a place where only hibernating winter clothes belong. In other news, we have found a new wedding venue. We haven’t officially reserved it yet, but things are looking good. And we are moving right along with other things like tents and (oh god help me) what to wear. Apparently we have to decide this further in advance than one week prior to the wedding. Because apparently the guests need to know so they can base their own clothing choices on ours. My response: “the facts – outside, warm weather, a bonfire after the reception, and flipflops. You do the math.” I fear that if I do not find someone soon who appreciates my flippancy about this issue, I will be kicked out of my own wedding! It’s just always hard for me to get serious about clothes. Especially fancy ones. But these are the joys of having a wedding, so I am trying to get serious and I’m glad that I have GB to keep me sane. Which I think is the reason I’m getting married in the first place….hmmm. Anyway, I thought I would post the news that we have a wedding venue so all those of you who had near-hernias about our wedding locale being closed for business could relax again. I know you were so worked up you couldn’t sleep. Now you can again. Yesterday was awesome. We started the day out with crepes, which is enough to put me in a good mood any time. Then we did a little cleaning and took the dogs for a LONG hike which was beautiful and sunny. After lunch we decided an outside bike ride was in order. It was pretty cold, but really sunny and we had a great time. We got home, showered, and headed out again for the first bonfire of the year. For the first time this year, we ate dinner outside with friends around the fire. It was really a great time and made it seem like spring is actually HERE! GB noted that we had actually spent more time outside during the day than we had inside. That’s my kind of day off! Today was a big day. I had some things to prove to myself out there in my 10k. I’ve been so afraid of running for so long and I decided recently that I am absolutely done with creating false limits for myself on the run. No more sabotage. No more excuses. Time to face up to my fears and see what happens. Well, if you are in the mood for an expansive and freeing experience, I highly recommend considering the possibility that you are a limitless being who is capable of achieving whatever you set your mind to. I’m not going to lie – I did not go into this race raging with confidence. But I was trying to entertain the belief that I am capable of running fast; That the only limits on my performance today would be those I imposed on myself. So I ran like hell. And when I got tired, I dug deeper and ran harder. And only when I thought I was actually going to blow up at mile 5 did I even consider letting up at all – and somehow even then I ran harder than I knew I could. Know what the result was? A PR by more than 3 minutes and by 7 minutes on that particular course. So needless to say, I’m happy with the result. Truthfully, I cried [read: bawled] on the drive home at the realization that my dreams actually are attainable. When you hold yourself back for so long it’s really an incredible experience to let go and realize that you’re as good as you hoped and better than you’ve been allowing yourself to believe. I feel that it is important at this time to acknowledge that (without asking her) I invoked the spirit of Marit in my race today. Every time things got tough and it started to hurt, I just thought of how Marit is the embodiment of HTFU and how much mental toughness she has shown in the past two weeks. It’s easier to run into the pain when you remember that it’s a gift to be able to run in the first place. So thanks, Marit. Your positive energy is awe-inspiring. Before I start yakking about myself, I thought I would remind everyone that tonight is Earth Hour at 8pm. Don’t forget to turn off your lights to show your support of global action against climate change. If that’s your bag, baby. I know that on March 29th when there’s snow on the ground and more falling from the sky, the unhappy, over-wintered parts of us think that a little global warming might not be a bad thing. But I think most of the under-nourished creatures on fast-melting ice in the Antarctic might disagree. I missed masters swim yesterday because of the wintry road conditions so I was left with a swim to do after work. I came home first to walk the dogs and was amazed to watch them go SWIMMING in the now-melting pond. Okay seriously, it was possibly the funniest thing I have ever seen. Jack would wade out into the water, Finn would follow (almost against his will, it seemed!) and then both of them would swim to shore and run around like complete lunatics, growling and sliding in the snow together. Repeat x 100. It was a great time. I didn’t get into the pool until 6.30pm. I know myself well enough to know that producing a quality workout at that time of day is very difficult for my body. Producing a quailty workout at that time on the Friday of a very busy week is virtually impossible. So it was not a quality workout – at least not physically. I had 12 x 150 to do and I was just not making my intervals. I was frustrated and slow and tired and I wanted to get out after two 150’s. I somehow got my hands on a healthy dose of HTFU and finished the set in spite of my less-than-speedy swimming. It felt good to wrap it up, and staying in the water was a little bit of a victory in itself. This afternoon is my 10k. Time to step up to the plate. I’m psyched. Although who ever heard of a running race in the afternoon??? I guess I’ll be glad of the extra 10 degrees when 1pm rolls around since it is not exactly balmy today. In other news, we found out yesterday that the venue for our wedding has been shut down. Long story. So we are back to the drawing board with where to have our wedding. Which is in 4 months. Which is very soon by wedding standards. Anyway, it seems that we both still like each other enough to get married WHEREVER the location may be, so we’ll figure something out. Last night I went to the track to face my running demons. On the track I am out of my element. I don’t know the etiquette, I don’t know which direction you’re supposed to run. I don’t know if people will yell at me if I alternate directions like my workout tells me to do. I am a fish out of water, so to speak. I arrived at the track and did the prescribed warmup. My scheduled workout was nothing earth-shattering – 4 x 800 – but any run on the track is enough to give me a belly ache just thinking about it. My directions were to hold back at first and progressively let loose with each 800. Well, you don’t have to tell me twice to hold back on the track! I put on my racing flats. This is the first time I have run in racing flats on the track. Right away I feel different. Fast. I can feel the bumps in the track through my shoes. I start running and the sound of my shoes on the track surface makes me smile. I am feeling like the real thing. But fear is everywhere around me and the words “hold back” are echoing in my head. I recognize the girl that I am. She is afraid. She does not think she is a runner. She has a million really good reasons why she should not be a good runner. She is convincing and she is holding back. I look at my time. It means nothing to me. I have nothing to compare it with. I am ‘holding back’ girl and I think that is probably a fine pace. Then I go for #2. A little faster. A little harder. I am still holding back. I am still afraid. The fear is like an insulator that keeps all my energy contained. I look at my watch. 20 seconds faster than the first one. Again, this means very little to me but I can see where this is going. I am starting to formulate a number that would be nice to see on my watch. Maybe I am creating a goal. I take off on #3. I let rip a little more. I feel pain. I hear a cacophony of voices inside my head. The negatives and the positives. My voice shouting out insults and the voices of Marit, Beth, and Elizabeth shouting out challenges and encouragement. A little of that protective insulation falls off. I feel a change taking place. I look at my watch. Another 10 seconds faster. Now I am 10 seconds from my new goal. I can taste it and imagine it. But there is still the voice of doubt that says “don’t get your hopes up – you might not be all that”. I try to silence the voice. I am talking to myself on the track. In public. I don’t care. I want to be somebody else. I want to be me. I take a deep breath and run like I have never run before. At the bend I realize I have been holding my breath. I let the air out of my lungs and keep moving as fast as I can. I challenge myself to puke. I challenge myself to blow up. I say it over and over and over again into the silence: “you are fast, you are strong, you are fast, you are strong”. There is nothing in my head but those words repeating over and over again to the rhythm of my fast-moving legs. I think I will explode. There is a quiet inside of me that I don’t recognize. The girl of fear is fading away. I have no peripheral vision. It is like I am in a tunnel with no thoughts except a rhythmic mantra which is thundering in my ears. I do not notice the force of the wind. I do not feel the pain in my legs. And I know I am becoming somebody. Someone who is a runner. I push the button on my watch and fall to the ground. Nine seconds. Not the ten I wanted. Nine. But I am smiling on the ground in a heap. By the time I stand up, she is back. The girl of fear. She is terrified. She wonders if these times are very slow. She wonders if she gave it all and it wasn’t enough. She wonders if her lifelong dream has been shattered by the realization that she is not as fast as she needs to be in the place where it counts. The girl of fear drives home and tries to stay positive. She wants to cry. She wants to stay around. She thinks I need her to protect me. And I allow her to hang around for the evening, making me feel awful. After all, look how much failure she has protected me from in my lifetime! She has done such an amazing job of keeping me from becoming who I want to be. But I’m not enjoying her company as much any more. I think she’s kinda lame. And whenever I get a taste of life without her, I think it’s time to let her go. But of course, that is the hard part. Yesterday I missed Masters swim so my smartass coach sent me a set to do after work that ended with the sentence “That’s what you get for skipping Masters”. I then received an additional consquence for smacktalking and not inviting her over for coffee and was assigned 2 x 25 fly no breath. Clearly she underestimates me. And has no sense of distance since I live about a 2 day drive away from her and she would have been late for coffee anyway. GB worked late last night and the pool was open unusually late, so I packed up a picnic dinner of bars and gels in my swim bag and went to the pool at 6pm. I settled into an empty lane, arranging my bars etc. on the block and got down to business. The set went by pretty quickly and although I wasn’t swimming especially fast, I felt good. Instead of doing the 25 fly no breath I was instructed to do, I incorporated it into a 100IM just to be a showoff. This was the first time I have done 25 fly without breathing and I was surprised to realize that it is actually easier than 25 free with no breath. Maybe because you actually take less strokes in fly, I don’t know. I was so excited to complete the set because my big plan was to break out the 400 fly at the end. And I did. And it was far less painful than you might think. I was disappointed to note that the pool was empty and the lifeguard was reading her book, so no-one witnessed this feat except me and the muscles in my lower back. So now I have another notch in my swimming belt, which truthfully, is not where I need notches right now. Tonight I run on the track. Now THAT is where I need notches.